Akin, James. “Chapter & Verse: The Beast in Revelation” in This Rock, Vol. 9, No. 12, December 1998. Feret, H. M. The Apocalypse Explained. Fort Collins: Roman Catholic Books, 1958 reprint. Fuentes, Antonio. “New Testament Guide: Apocalypse” in This Rock, Vol. 6, No. 10, October 1995. Hahn, Scott. The Lamb’s Supper: The Mass as Heaven on Earth. NY: Doubleday, 1999. Kramer, Herman B. The Book of Destiny: An Open Statement of the Authentic and Inspired Prophecies of the Old and New Testament. Rockford: TAN, 1955, 1975 reprint. Martindale, C. C. Saint John and the Apocalypse. Fort Collins: Roman Catholic Books, 1922 reprint. 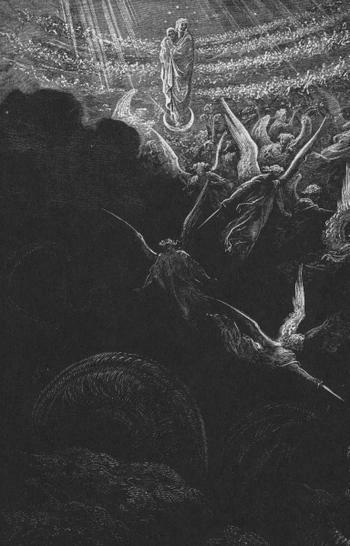 Montague, George T. The Apocalypse: Understanding the Book of Revelation and the End of the World. Ann Arbor: Servant, 1992. Olson, Carl E. “The Time is Near: Five Common Misinterpretations of the Book of Revelation” in This Rock, Vol. 13, No. 7, September 2002.